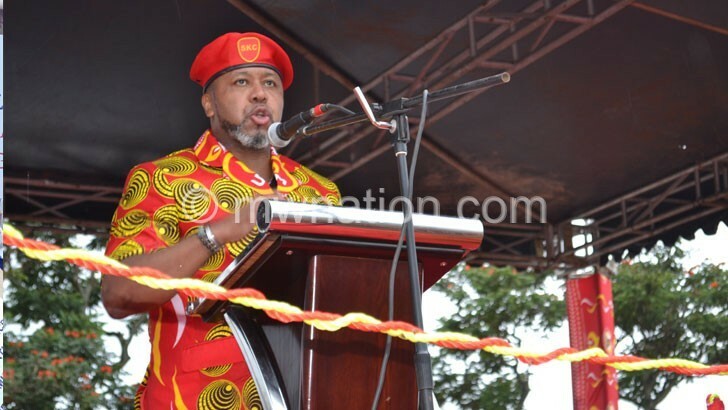 UTM Party presidential candidate Saulos Chilima has said the party’s electoral alliance with Alliance for Democracy (Aford) and Tikonze Progressive Movement (TPM) has added value to the party in readiness for the May 21 Tripartite Elections. 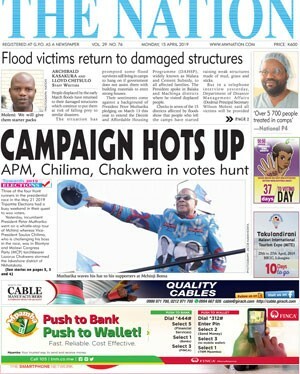 Chilima, who is also the country’s Vice-President, said this at a political rally held at Desert Ground in Bangwe Township in Blantyre soon after presenting his nomination papers to Malawi Electoral Commission (MEC) at Comesa Hall on Wednesday. He hailed leaders of Aford and TPM, Enock Chihana and Mark Katsonga Phiri, respectively, for partnering UTM to help the party win the 2019 elections. The Vice-President warned the party members against castigating or intimidating other party followers or politicians. Earlier at the rally, senior UTM members including secretary general Patricia Kaliati and regional governor (South) Steven Mikaya applauded Chilima for choosing Michael Usi, popularly known as Manganya in acting circles, as his running mate and the party’s vice-president. The senior party members pledged to work with Usi in advancing the party’s goals.